I have no doubt that when the final page of their homeschool is turned and they launch out into adulthood, my children will have wonderful memories of our time together. Most likely, they'll not remember the math drills or language exercises, the spelling lists or vocab words. Even though those things will be cemented in their brains and used often in their "everyday," those will probably not be the memories they will cherish. They will remember the unit studies. All the DOING that we did. While I recognize there are many wonderful ready-made unit study curriculums like Five In A Row, KONOS, or Galloping the Globe, I have learned over the years that I'm more of a DIY kinda homeschool mom. I much-prefer to cull resources myself in order to create a tailor-made education for my kids. That being said, I'm just one momma with a finite amount of time and energy in my day. I can't be inventing the wheel for every subject and for every topic. So, I've developed a quick, just-add-water-and-stir system for developing units and here it is in five easy steps. Feel free to copy my pattern to create unique units for your homeschool. Because we are eclectic homeschoolers and use all different methods of learning, we don't necessarily do unit studies for every area of study. We typically save them for content-rich subjects like history, science, and geography/cultures. Choosing history units is pretty routine...we just skip to the next era in the historical time line and camp there until we've exhausted that time period. Once the topic has been chosen, it's time to whittle it down into logical subtopics. Again, for history this just follows the natural linear timeline of the major people, places, and things in that era of history. For other content-rich subjects, the subtopics can often be organized in any order that I choose. Since I'm not a knower-of-all-things, I consult a spine book to help me figure out which subtopics need to be addressed within the unit. A spine is just a encyclopedic or textbook-type book that paints a really broad picture of the topic. For example, last summer, I created a human anatomy unit that we are currently working our way through. When planning the unit, I looked through the Table of Contests pages of Human Body and wrote down the subtitles for each major section of the book. At that point, I could have written down sub-subtopics under each of the subtopics, but I chose not to do so. When consulting a spine book, I don't necessarily read it. I just take note of the major sections and subsections within the broader topic of study to help me have a general direction to my unit. After organizing the subtopics, I start my book search. I scan our personal library shelves, consult our public library's online catalog, and the state's interlibrary loan system for books that relate to the subtopics. Since I'm kind of a self-proclaimed book snob, I don't just want to use any old books in my unit plans. I want only the best. I want LIVING literature...non-fiction books that captivate, biographies that inspire, fiction books clothed in beauty, virtue, and truth. I want language-rich reading. I choose from these, find others, and begin plugging the titles into my tentative plans for each subtopic. Next, I begin to brainstorm three or four different "extras" that I can add to a unit to make it more meaningful and memorable...an authentic time-period recipe, a science model, a field trip to an applicable museum, or the like. I plan what I am able to plan (the activities I currently know about at the start of the unit), but leave room for rabbit-trail learning like impromptu YouTube videos I come across, creative writing prompts that pop into my head only after reading a historical biography, or invitations to talk to an expert who suddenly comes into our lives mid-unit. It's always helpful to have an arsenal of project/activity suggestion books and resources to consult for inspiration. Here are my favorite GO TOs. And of course, these days, Pinterest is always a must. I usually start a Pinterest board specific to the unit topic to curate all the great pin-worthy ideas in one spot. Once, I've gathered all my ideas, it's time to write it down somewhere so I don't forget it. Here's a quick peek at how I schedule each unit into my homeschool planner. Before launching into unit studies, create a mental list of GO TO activities that your kids like to do and that would work with almost any unit. Start with that list every time you plan a new unit. Select three or four "extras" that would work well to enhance THAT particular unit. Here's a sample list of activities to help get you started. Still not sure what unit studies are or if they are right for you and your homeschool? Here is a collection of wonderful online resources and videos that might give you some more direction. Unit Study 101 by Susan Evans.org- This five-post series is a fast crash course in unit studies for newbies. 13 Benefits of Unit Studies by Homeschool Your Boys- If you're still on the fence about whether a unit study approach is right for you, this one's a quick glimpse of why you should take the leap. How to Create a Unit Study by Starts at Eight- I especially like her list of GO TO internet resources for creating youtube playlists. Are You a Unit Study Mom? Podcast by Ed Snapshots- In this podcast, you'll hear an interview of one of my favorite homeschool mom bloggers, Heather Woodie, from Blog, She Wrote. My "five-easy-steps" work best for me when creating unit studies, but maybe that's not your style. That's OK. Never let anyone else's drum determine your beat. There's not ONE WAY, there are many. Here's a look at a few others. 5 Days of Building a Preschool Unit Study by Everyday Graces- This is unit-studies-made-simple for the littlest of learners. How-to Homeschool High School with Unit Studies by Homeschool Share- Learn how you can assign credit for a high school transcript with a unit study approach. How I Teach Science in a Unit Study by The Homeschool Scientist- Gently incorporate science into your history or geography lessons so that you can kill two birds with one stone. Creating a Themed Literature Unit for Middle School by The Sunny Patch- Check out these simple tips to help you have a great literary adventure with your middle schooler. Why spin your wheels if you don't have to? There are so many FREE unit study plans online. If you're pressed for time or just need a little inspiration to spring board your own ideas, start with some of these. Toddler to Teen 100 Free Unit Study Resources by Tina's Dynamic Homeschool Plus- These free unit studies are organized alphabetically so that you can find what you're looking for in seconds. 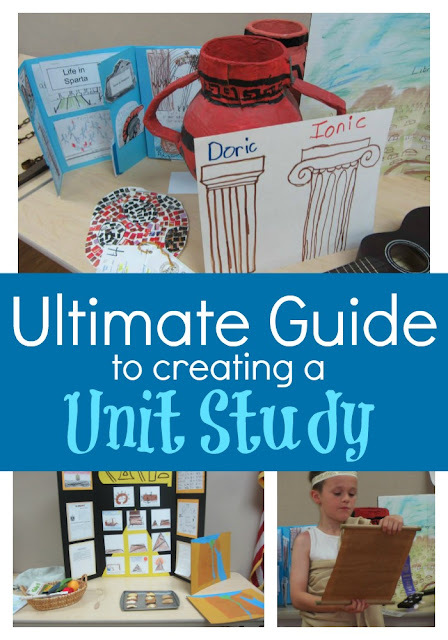 The Ultimate Guide to Free Unit Studies by Great Peace Academy- This one is full of links to free unit studies, unit study planners, and homeschool blogs that feature the unit study approach. Unit Studies from The Unlikely Homeschool- Here's a collection of some of my favorite unit studies from over the years. Homeschool Share- This site is jam-packed with free unit studies complete with printables, book titles, activities, vocabulary words, field trip suggestions, and so much more. Did I mention that it is all free?! Simple Unit Study Free Planner Plus a Video! by Momma's Learning Corner- Be sure to download this fantastic free unit study planner printable to keep all your ideas in one organized file. A Journey Through Learning- Download ready-made lapbooks to add to your unit study. 72 Creative Ways for Students to Show What They Know by Minds in Bloom- This is a rockin' list of why-didn't-I-think-of-that ideas for letting kids showcase what they have learned! Don't forget to check out my Unit Study Pinterest board for more ideas for creating unit studies. Follow The Unlikely's board Unit Study on Pinterest. Be sure to join me on Instagram. Use the hashtag #unlikelyhomeschooling and show me how you are inspiring learning in unlikely ways! 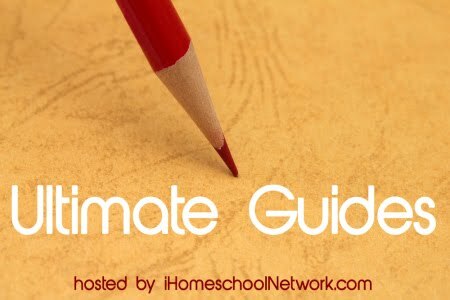 For more thoughts on homeschooling, be sure to visit the Ultimate Guides from iHomeschool Network. Ive been trying to navigate the world of unit studies over the past couple of weeks in preparation for next year, and this post was perfect! I've never done a unit study for my kids before, so thanks so much for the wealth of info you provided! You're most welcome. Once you get into a good planning rhythm, unit studies are a lot less daunting. Great article! Quiet comprehensive with inspiration!! I had a question in regards to the Delight Directed Learning you do for science. I love the approach you take to choose that years topics and how you plan them into your calendar. When teaching multiple grade levels, how do you make sure that each of your children have covered all of the major topics they should learn over the elementary level? For example, for my K this year I'm interested in doing astronomy/space, etc. Next year I'll choose different topics or my K and 1st grade and the following year and so one. Once my 5th child starts K my oldest will be in 6th grade. Do you suggest keeping track of all units covered and then repeating them, ex starting with space again once my youngest is in K and my oldest would be starting middle school topics? Hopefully this makes sense. I've considered the Apologia curriculum since I can go through K-6 with all my kids in the same book, but I like your delight directed planning approach also. Any suggestions or advice? Thanks! Doing a 4 or 6 year rotation is one way of doing it and is similar to how I organize our history units. But remember, at the elementary level, science should just be a sampling. You don't have to worry about covering all the topics because there's no way you CAN cover all the topics. High School courses will have to be a bit more calculated. But even then, you will not be able to cover all the topics. The goal is not to teach your kids everything there is to know about science. But instead, the goal is to ignite a passion in them to WANT to learn everything there is to know about science. If you can do that, they will continue to read and learn with or without you. There is no particular scope-and-sequence for learning science at the elementary level. In high school, it is helpful to learn certain sections of science in tandem with certain sections of math. But, science, as a general rule, is a content-rich subject...not a linear one. You can learn topics in any order that you choose. So with the TruthQuest as your guide, did you start your kids in American History and then move to the World History like it suggested? Or did you start at Creation and move on through the eras and consult the guide for books to use? I've never heard of TruthQuest until I saw it on your blog. It seems to be what I've been looking for, but it's a bit hard for me to grasp which sections are for the teaching parent and for the student just looking at the samples. I'm sure the layout makes more sense once you have the book in hand. Thanks for your science advice! When I was teaching in the public school "life long learners" was the buzz word that year...it's true that's what we want to stir up! Also, did you start out TruthQuest with your K's or do you start in 1st like it suggests? I started in 1st and with American History.